Almost all of the UK’s bestselling cars are at risk of keyless theft, a study shows. The vehicles can be unlocked and started in minutes using gadgets which can be bought cheaply online. Consumer watchdog Which? found that four out of five of the most popular cars in the UK last year were vulnerable to so-called keyless attacks. The investigation prompted Which? to accuse manufacturers of sacrificing the security of cars for a small added convenience. It comes as figures from the Office for National Statistics for the year to September showed car thefts up 10 per cent to about 110,000 – in large part down to keyless entry. Many new cars now have keyless entry systems, or can have them added as an upgrade. It allows the driver to open and start the car without using a traditional key, as long as the fob is nearby. But thieves have taken advantage of this new technology. 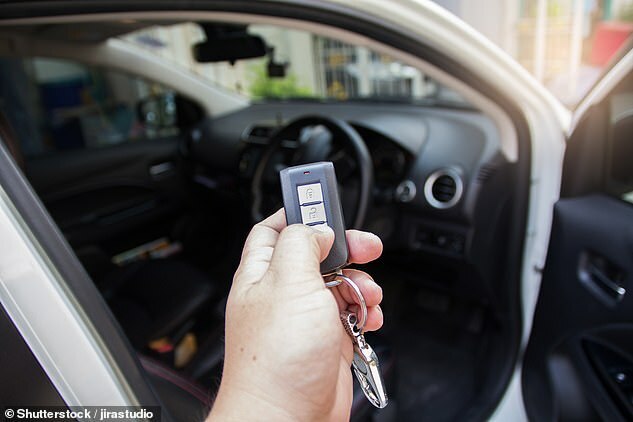 Using two devices, known as a relay amplifier and a relay transmitter, they can capture electromagnetic signals emitted by key fobs from where they are sitting inside the car owner’s home. Working in pairs, one thief stands by the car with his transmitter, while a second waves the amplifier close to the house. The amplifier will detect a signal from the key fob, amplify it and send it to the accomplice’s transmitter. This tricks the car into thinking the key is in close proximity, prompting it to open. Thieves can then drive the vehicle away using the push-button keyless ignition. The process can take less than one minute – and once they have the car, they can quickly replace locks and entry devices. Which? said that as manufacturers continue to make new models with the feature, there is an ever-larger pool of vehicles for crooks to target. 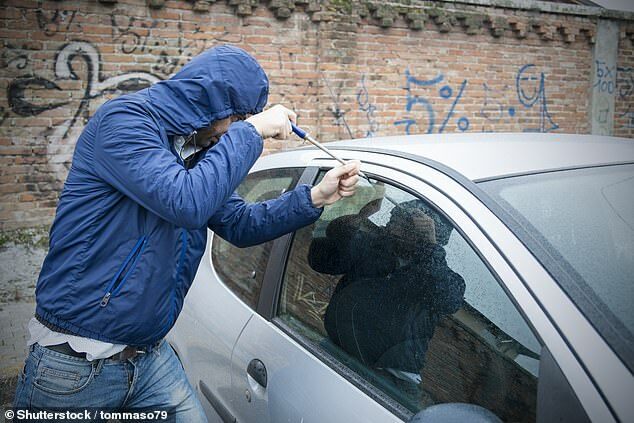 Last week, figures revealed that a car is stolen every five minutes in the UK, with numbers on the rise due to criminal gangs hacking keyless systems and reduced policing. Harry Rose, editor of Which? Magazine, said: ‘The fact that so many cars on the road are susceptible to keyless theft simply isn’t good enough. The General German Automobile Club, or ADAC, tested a total of 237 keyless cars and found that all but three of them are susceptible to relay attacks. Of those, 230 from more than 30 brands could be unlocked and started, while a further four models could be either unlocked or started. Which? analysed the results to show the impact of keyless attacks on the five bestselling cars in the UK last year. 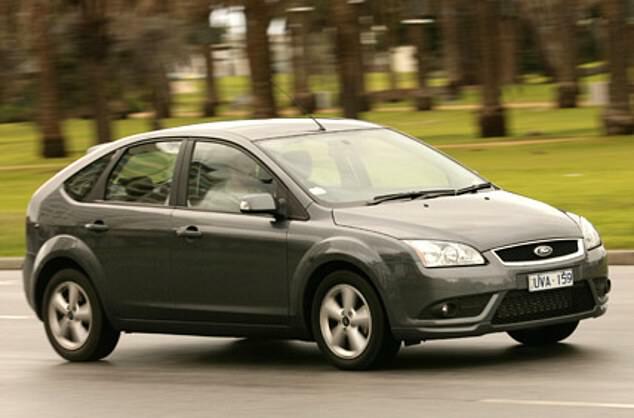 It found the Ford Fiesta, Volkswagen Golf, Nissan Qashqai and Ford Focus were vulnerable to this kind of theft. Only the Vauxhall Corsa was safe because it is not available with keyless entry and start. The only three keyless cars that ADAC tested that were not susceptible to relay attacks were from Jaguar Land Rover – the latest models of the Discovery and Range Rover, and the 2018 Jaguar I-Pace. Mike Hawes, chief executive of automotive industry body the SMMT, said: ‘Industry takes vehicle crime extremely seriously and any claims otherwise are categorically untrue. ‘New cars are more secure than ever, and the latest technology has helped bring down theft dramatically with, on average, less than 0.3% of the cars on our roads stolen. ‘Criminals will always look for new ways to steal cars; it’s an ongoing battle and why manufacturers continue to invest billions in ever more sophisticated security features – ahead of any regulation.